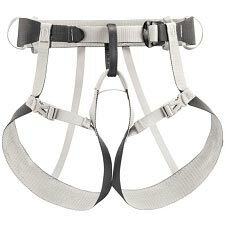 Ultralight harness for mountaineering and ski touring. 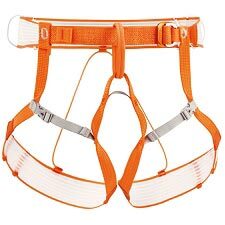 For technical big mountain lines, crevassed ski terrain or moderate glacier climbs, the Black Diamond Couloir harness is a full−featured technical harness that packs down to the size of an orange and easily stashes in your pack or jacket pocket. 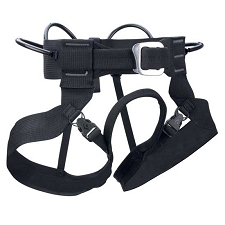 Designed with a full−strength belay loop, the Couloir features low−profile comfort with a Speed buckle closure that makes for easy on and off while wearing skis or crampons. 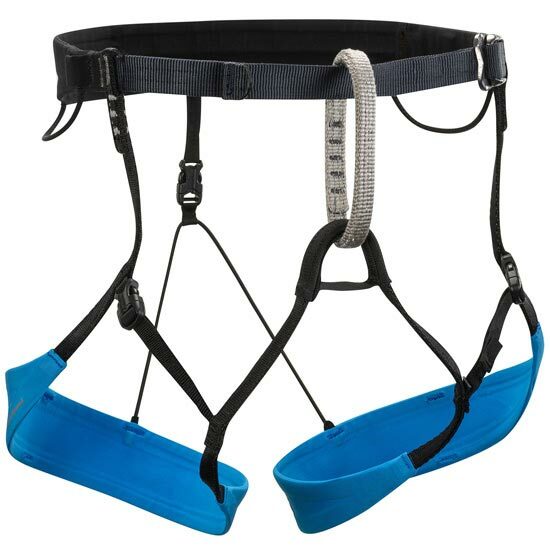 Two Ice Clipper slots pair with an integrated ice screw slot in each leg loop to reduce clanking during long approaches and flat glacier travel, and two webbing gear loops secure cordalettes, extra biners and other essential gear. XS/S: Waist 61−76 cm. Leg loops: 43−51 cm. S/M: Waist 69−84 cm. Leg loops: 48−61 cm. M/L: Waist 76−91 cm. Leg loops: 53−66 cm. L/XL: Waist 84−99 cm. 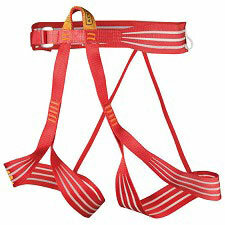 Leg loops: 58−69 cm. XXL: Waist 91−112 cm. 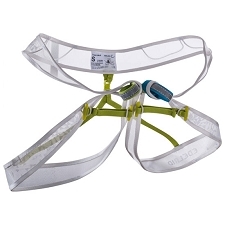 Leg loops: 64−86 cm.